WALL·E is a 2008 animated film produced by Pixar Animation Studios and distributed by Walt Disney Pictures. It was directed and co-written by Andrew Stanton and stars the voices of Ben Burtt as a trash compactor robot, named WALL·E, in a deserted Earth left to clean the planet. When he falls in love with a probe, he gets roped in an adventure and ends up saving the human race. Director Andrew Stanton conceived the idea of the film during a lunch with in 1994 with other Pixar alumni (as shown in the teaser for the film). He and Pete Docter (who later directed Monsters, Inc. and Up) started working on the film with the rough title Trash Planet starting in 1995 after Toy Story, but they did not know how to develop the story and both moved on with other projects. Stanton later decided to revisited the idea in after finishing work on Finding Nemo. In late 2003 after the film premiered, Stanton along with a small crew created a rough story reel of the first act under the title W.A.L.-E. While the first act stayed basically unchanged through the production, he had a different idea for the other acts of the movie. The story was a Spartacus-inspired plot about a rebellion against boneless, green, see-through aliens, nick-named Gels, that spoke in complete gibberish. They were going to be revealed as deformed humans at the end of the film. The idea of the Gels, along with the rebellion plot, was scrapped because Andrew Stanton thought the idea was too complicated, and they were changed to humans so that the audience could easily see themselves in the characters. This eventually lead to the plot we are familiar with in the final movie. 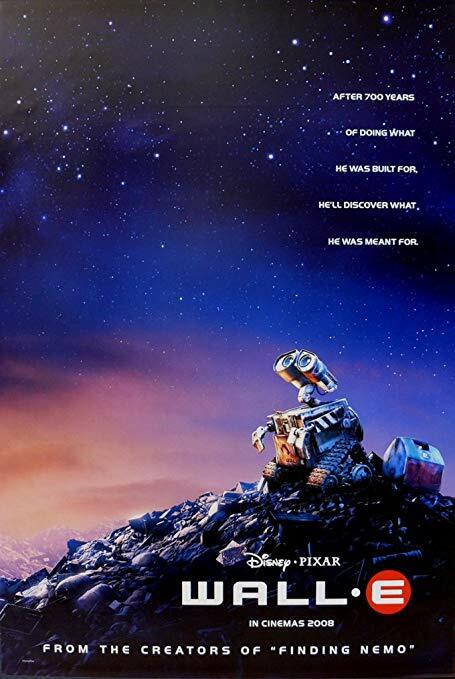 Neither Pixar or Andrew Stanton have shared the original treatments of the film, but they have given some inside looks into the original ideas through the book The Art of WALL·E and the bonus features on the Blu-ray release of the film. This includes a full eight-minute documentary called "Captain's Log" that details the scrapped idea of the Gels. It is currently unknown if the original treatments will ever be released. A look into the original treament.